Fertile Ground 2019 is an 11-day arts festival that will be held January 24 through February 3 in Portland, Oregon. This city-wide festival is focused on new work in the Arts. 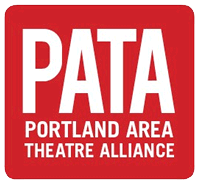 Fertile Ground features world premiere projects, staged readings, developing works and a myriad of other arts events from the Portland creative community. The 2019 Festival includes more than 70 Portland-generated new works held throughout the city. From fully staged world premieres in theatre, to ensemble and collaborative driven work in dance, comedy, performance art and animation...this festival spans the spectrum of creative endeavors and seeds the next generation of creation.